The LG V30 has been leaked via a press render ahead of its launch. And the ever reliable Evan Blass is the leaker who outed this render as well. The LG V30 sports a metal body, with a fingerprint sensor on the back panel. 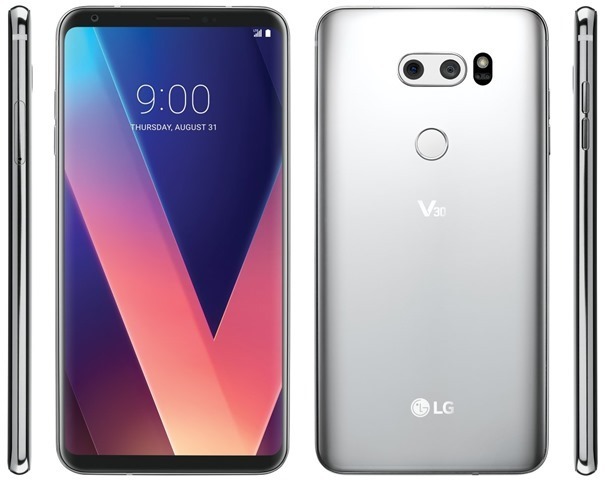 The V30 has dual rear cameras placed horizontally, to the right of which sits an LED Flash and what appears to be two more sensors which could be laser guided focus sensors, placed vertically. The V30 has a SIM card tray on the right edge of the frame, and volume buttons on the left edge. The frame looks very glossy, and has an antenna band running near the top, but it is not visible on the back panel. LG has announced that the LG V30 will be unveiled at the IFA 2017 tech show in Berlin, on August 31st.